I'm actively editing a new pattern. It is a woven dress and SUPER duper cute! I'll admit it is definitely categorized as intermediate (NOT beginner) ... but oh my word is it worth the extra effort. It will be released on Friday, July 7th ... I can't wait to share it with you. 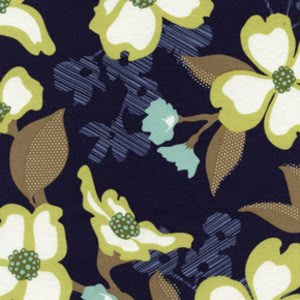 Sneak peek of my fabric choice above ... this dress was worthy to be cut in Joel Dewberry's Modern Meadow coordinates ... LOVE! best news of the week! can't wait. i've been wondering how you are and what you've been up to. so excited to see it!